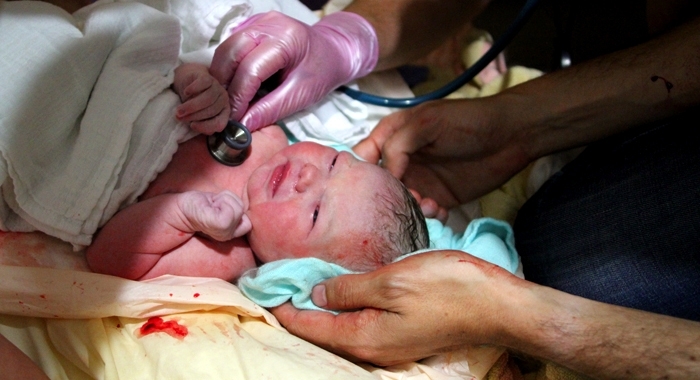 Comprehensive & compassionate care that blends the ancient art of midwifery with modern technologies as appropriate. Left: Nile, her mom, Susan, and Melissa, hearing Stellar Joy's heartbeat for the first time. Why? Because black mothers in the U.S. are dying at 5 times the rate that white women are. This is disgraceful. Also, because I believe black women in this country deserve reparations and midwifery is the service I have to offer. Finally, because you deserve a midwife. Email me for inquiries. 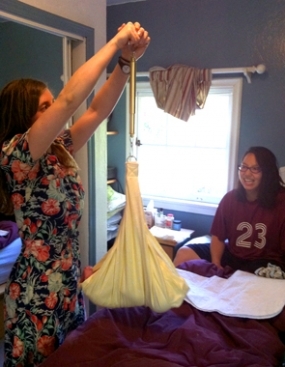 CLASS DESCRIPTION: *This homebirth and birth center specific class focuses on informational and experiential learning. Nile brings her background in the science of pregnancy, birth and postpartum and her experience as a mother to teach you skills and provide with you a solid education that will leave you feeling empowered. The class will cover the anatomy and physiology of pregnancy, labor and birth as a jumping off point to talk about the many layers of the birth process- physical, mental, emotional, and spiritual. Besides giving you as much information as you might need to enjoy the wild process of your birth journey the class also provides a community foundation for your new family. *We do a lot of hands-on teaching including labor positions, comfort measures and newborn care. We spend time looking at our perceptions of discomfort and practice relaxation and breath awareness as coping mechanisms to face it. Continually using breath as a tool to soften and open the body, we will also practice massage and supported postures. So, wear clothes you can move in! *Each class has visual learning components including watching hand-picked birth videos, looking at important photos, touring a homebirth midwife’s birth kit, diving into models, and more. *We look into variations of normal and potential complications, how they are handled at home and what might be reasons to transport to the hospital. During this class we also give you skills to navigating a hospital birth if that becomes the safest place for your family to be. We also cover postpartum recovery and what to expect in those first hours, days and weeks of life with your new baby. We explore breastfeeding basics - positions, techniques and when to get help, and newborn care, including diapering, changing clothes, sleeping, swaddling, and basic safety. If homebirth isn’t your chosen path with this pregnancy and are choosing to birth your baby in the hospital system but have the intuition that you would be wisely supported by midwifery care in your prenatal period and would like more comprehensive follow-up postpartum (PP) then Mama Lion Midwifery is for you! Mama Lion will do your prenatal care in the office at theROOT, help you to find the birth doula that will accompany you on your hospital birth journey, and then begin your extensive postpartum care, starting with an initial visit in the hospital followed by 4-5 visits in your home. Hospital based pregnancy systems often leave women and families feeling more anxious and confused than they were before their visit! You typically must sit in the waiting room for 45 minutes only to be seen for a brief 10 minute visit and leave with unanswered questions. Instead, you could come to Mama Lion Midwifery at theROOT and be served tea and compassion in hour long visits that address all of your questions and concerns and leave you informed and empowered. In the hospital postpartum you suffer the traditional medical management of obsessive observation of you and your baby for 24-48 hours but then are abruptly sent home with no support. Then you would be expected to get dressed and in the car to bring your little one back a few days later for a weight check all the while you aren’t seen until you are finishing care with the postpartum visit at 6 weeks. Instead, your midwife would come to the hospital while you’re recovering to process your birth and help you navigate getting home safely, then follow up with you in your home four more times on day 3, day 5-7, and around 4 or five weeks. Mama Lion is qualified and happy to manage your pregnancy from conception to your final postpartum visit and even onto well-woman care. This can include all your lab work, including blood draws, GBS screening, and gestational diabetes screening. Send me an email at nile@mamalionmidwifery.com if I can help guide you in the beginning stages of pregnancy. Mama Lion Midwifery does not, however, own an imaging ultrasound machine so if you’re hoping for a peek at the pregnancy we suggest making an appointment with your back-up hospital. Prenatal visits (PNV) are conducted at Nile’s shared office > theROOT> at increasing interval times. In the first trimester, PNV occur about every three to four weeks. Beginning in the second trimester, around 28 weeks of pregnancy, PNV happen every other week and once you reach 36 weeks we see each other at least every week until you deliver. We will have an in-home birth team meeting around 36 weeks of pregnancy. Mama Lion is on call for your labor and birth from 37 weeks of pregnancy through 42 weeks, your term window. Your estimated due date (EDD) is the hinge date for those five weeks when it’s safe to birth your baby at home. Set up an interview with me to chat more about what birth in your home might look like. These are the baseline visits if everything is peachy but if there is any matter that demands closer or more frequent check-ups we are with your family along the way. At each PP visit Nile and/or her assist midwife will be sure to assess both clinical benchmarks, like baby’s gaining appropriate weight, and critical emotional changes that are deeply linked with physical wellness.